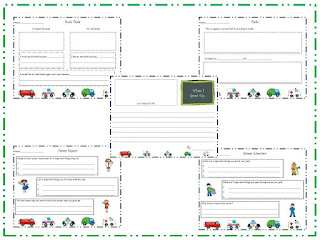 A - B - Seymour: Social Studies Pack is Finally Done....Giveaway Time! Social Studies Pack is Finally Done....Giveaway Time! This post is going to be short and sweet! The good news is that I FINALLY finished my Social Studies Careers and Economics Pack!! :) I meant to have it done by Monday....but it was a busy week. 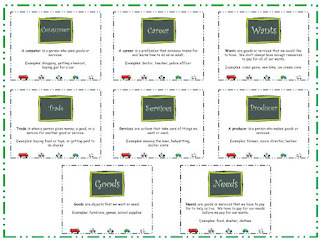 I know careers aren't really in the first grade standards, but I've also included needs, wants, goods, services, producers, consumers, and trade. When my kiddos are the "Star of the Week" they fill out this giant poster and one of the questions they answer is what they want to be when they grow up. 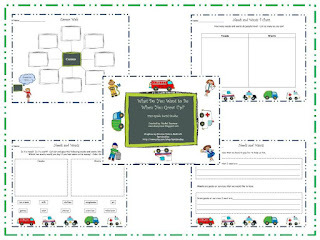 I know this changes quite a bit with kiddos this age, but I thought it would be a great way to tie in these important standards and get them thinking and researching what they really do want to be when they grow up! Now.....time for a giveaway!! 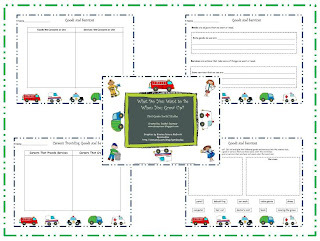 I will give away 3 'What Do You Want to Be When You Grow Up' Packs on Sunday, April 15! 1. Follow my blog and leave a comment (with your email address). 2. Follow my TpT store and leave me a comment letting me know (with your email address). 3. Recommend my blog to a friend and if they follow me you can leave two comments telling me who your friend is and a little about their wonderful blog (with your email address). 4. Blog about my giveaway and leave a comment with your URL (and your email address). I've had a GREAT week for it being the week after Spring Break. Hope everyone else is having a great week too! Now come and visit me! I follow your blog!! Looks great! I follow your blog! Would love to win the pack! I already follow your tpt store! I blogged about your giveaway! I really hope I win this, because I am getting ready to do a unit on what they want to be when they grow up! And I follow your TpT store!! I follow your blog! What a great unit! I follow your TpT store!! I am following your blog and have been :) ! 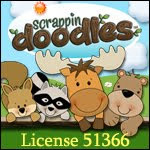 Just began following your TPT store. Stop by my first grade blog sometime, too. I will post your giveaway on my pinterst. Career Day was a Success!! Recess Centers, a Winner, and Tax Sale! I've Been Tagged 3 Times and a FREEBIE!! Check Out These Great Giveaways!! 50 Follower Giveaway and Spring Break Giveaway!